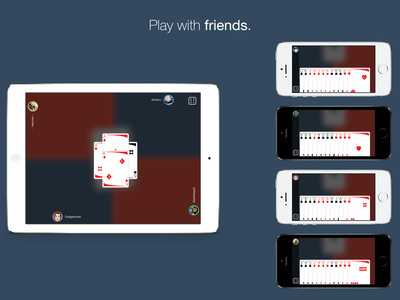 ﻿it's not a card game. 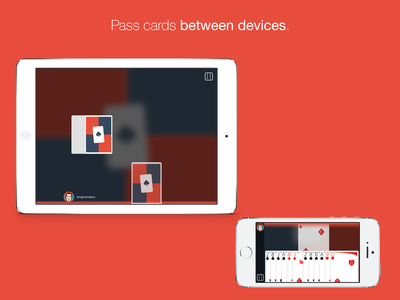 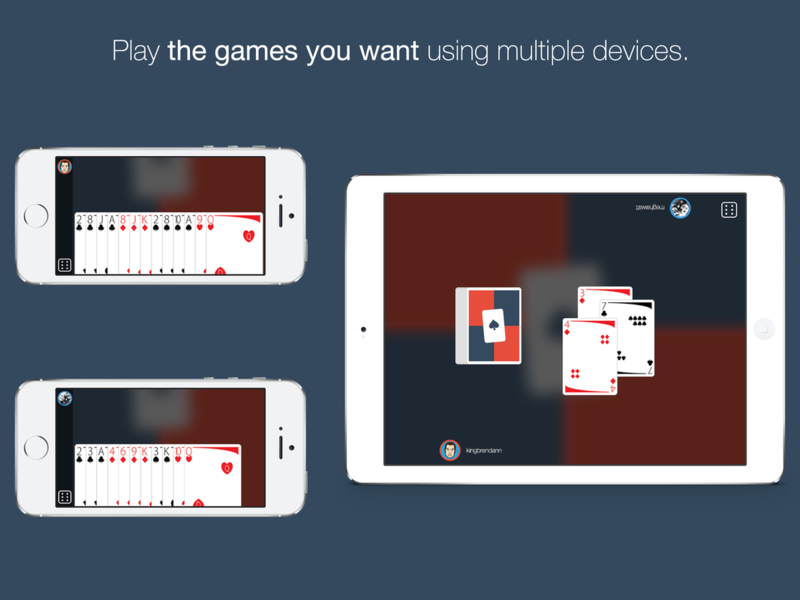 Multiplayer card games on ipad and iphone. Card Table lets you and up to 3 friends play your favorite card games with a virtual deck of 52 cards. 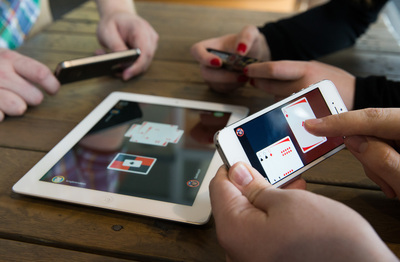 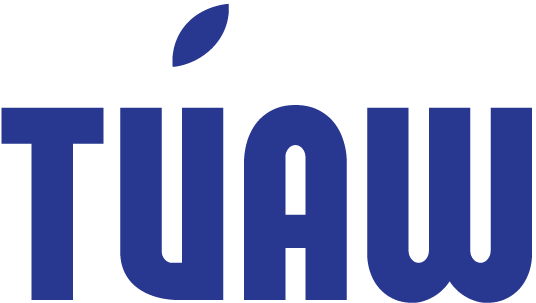 You need an iPad to run the game and an iPhone or iPod touch for each player. 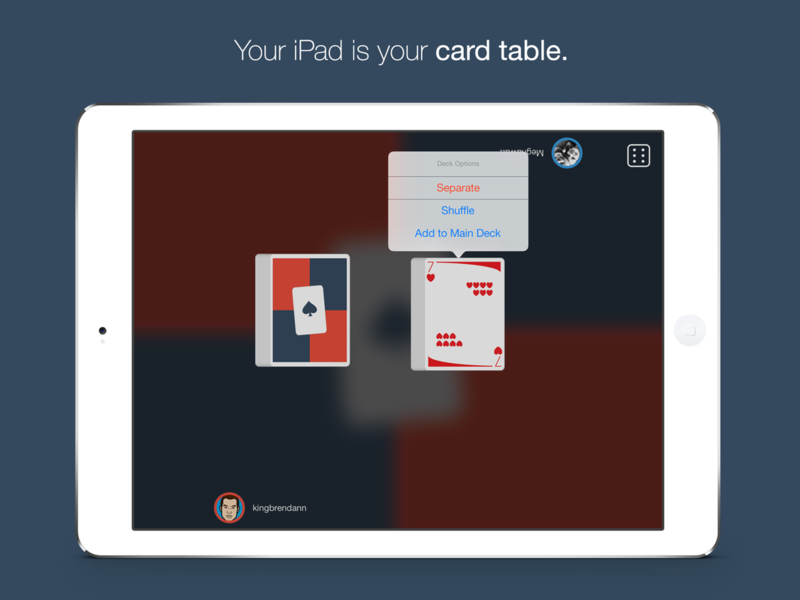 The iPad acts like a card table, and is home to the deck of cards. 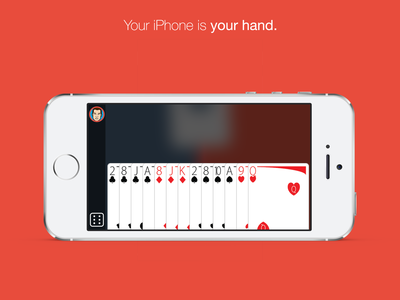 Players keep their cards on their iPhone or iPod, which becomes their virtual hand. 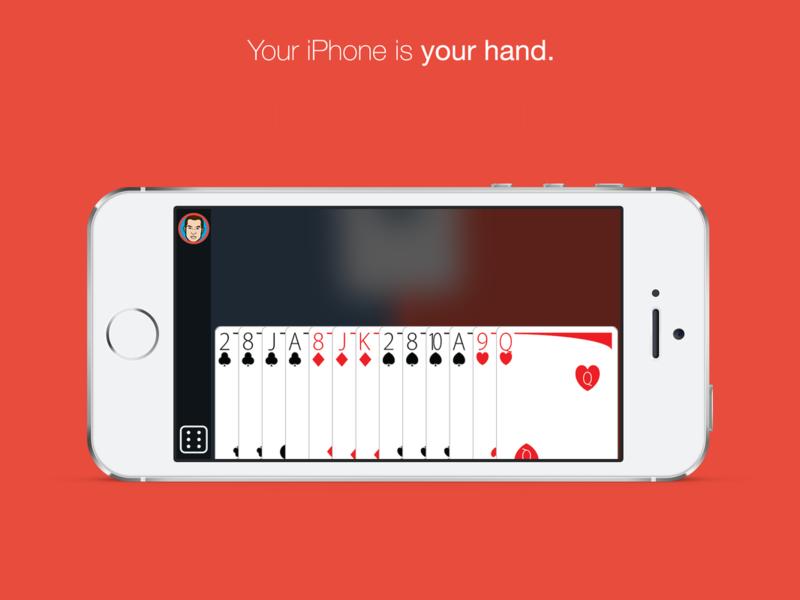 Players can send cards between the Card Table and their hands. 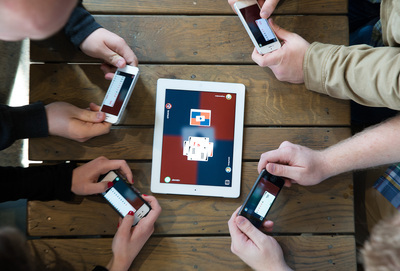 Select up to 4 players and assign them to a side of the iPad. Select the number of cards to deal each player and start the game! 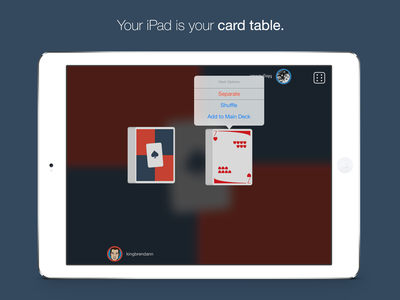 Send a card to a player by dragging it to their side of the iPad. 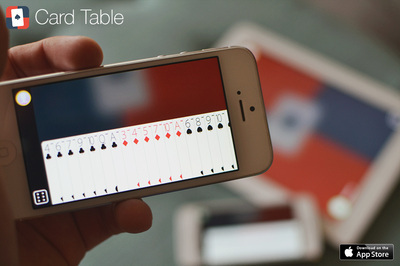 Send a card to the table by swiping it up on your iPhone. 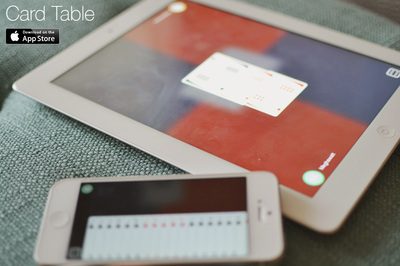 Flip a card over by double-tapping. Find more detailed instructions here.